In the wettest game ever Shepton adapted better and came away with all 3 points. Keynsham’s only reply came from Chris Lewis to give some hope at 2-1 at half time, but Shepton came out with real attacking intent and scored two more making it a comfortable victory. 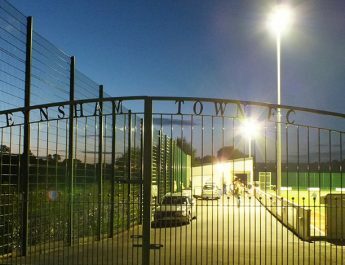 Keynsham came out of the dressing room hungry for another win and attacked well from the off. Liam Robson, playing on the left, and Luke Lipinski both went close within the first five minutes, with Sam Roberts fizzing a free kick across the box only to be gathered by Garrick in the Shepton goal on ten minutes later. It was Shepton who had the first clear cut chance of the game though after a sliced clearance inside the Keynsham 6 yard box fell to Gibson who blazed his first time shot over with the goal gaping in front of him. Pat Davison had a long shot on 22 minutes but it sailed just over from a half chance. The game changed on 24 minutes though as Shepton played themselves into the game more and scored the game’s first goal. A corner was whipped in from the right with a back post header placing the ball in the 6 yard box and onto the foot of Sherwood up from the back, who couldn’t miss. Then exactly ten minutes later Shepton struck again after a stray pass in the middle. The impressive Mitchell latched on to the ball and played it through to Vincent who finished it well past the stranded Matt Dunk in the Keynsham goal. However the K’s battled hard and Dunk saved well from Vincent on the 40 minute mark with Shepton looking to finish the half strongly. Chris Lewis, returning to the starting line up, wasn’t about to let that happen. Roberts fizzed in another decent free kick, this time along the ground and Lewis managed to just get a flick on diverting it away from the keeper and into the back of the net to restore some hope at half time. There was even time for Roberts to see his long free kick catch the wind only for Garrick, the Shepton keeper, to turn it round for a corner on 45 minutes. The second half was dominated by Shepton though despite a spirited display from the K’s. It wasn’t until the 56th minute that they restored a 2 goal lead. A low ball from the right needed the Keynsham defence to put something on it to prevent Stone from scoring, unfortunately that touch diverted the ball in for an own goal. Roberts will now be staking a claim to take all the set pieces for Keynsham as he saw another free kick saved by Garrick, this time from the left on 63 minutes. Steve Cains tried to change the game by putting more pace on the pitch with Lewis Morgan being introduced on the left and Robson going upfront with Davison. It was still Shepton getting the better of the chances with Gibson hitting the post on 75 minutes, only for the ball to bounce across goal and away. Shepton sub Peak then saw his well worked turn and shot get turned away for a corner on 78 minutes. Reserve team manager Chris King was then brought on to try and steady the game with Ryan Beak also getting some game time on his road to recovery after a long injury lay off. Shepton then treated their decent travelling support to a 4th goal on 88 minutes. Vincent, the Shepton number 10, was having a great game and comfortably beat Dunk after being played through. The Keynsham lads will need to put that game behind them as they look to take on Cheddar in what promises to be a tough away fixture. Any travelling support will be greatly appreciated as the K’s look to climb the league table, if the weather allows! 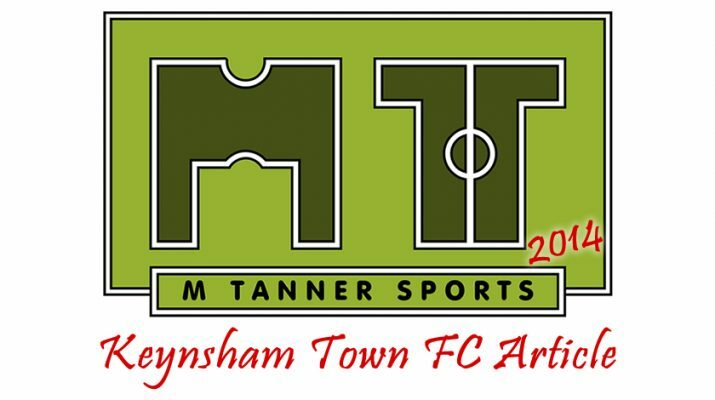 Keynsham: Matthew Dunk, Sam Roberts, Seb Spiller, Aaron Marshall, Ben Stiff, Thomas Bannerman-Williams, Szymon Gromek, Luke Lipinski, Pat Davison, Chris Lewis, Liam Robson. Subs used: Lewis Morgan on 67 mins for Lewis, Chris King on 79 mins for Bannerman-Willams, Ryan Beak on 83 mins for Stiff.